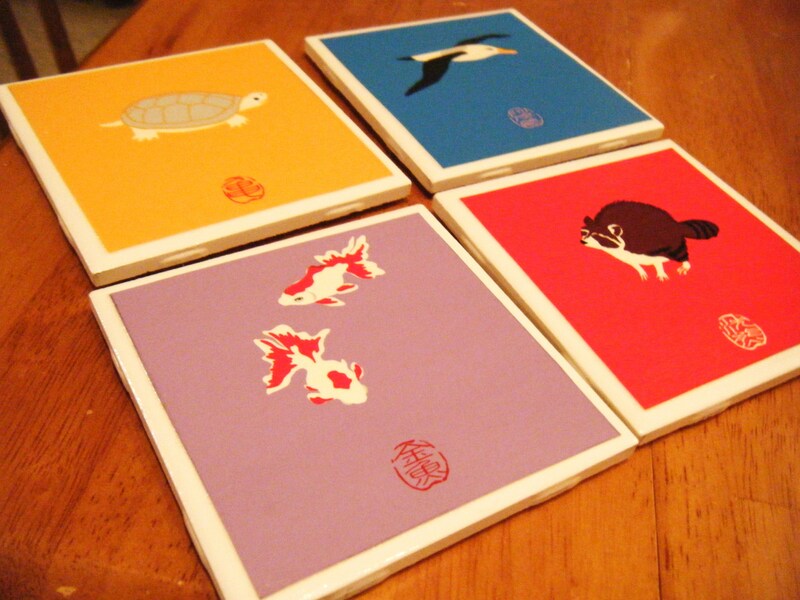 So if you haven’t noticed, homemade coasters are all the rage right now. I’ve been inspired by a few different examples from Attic Lace, The Cottage Mama and Making Mondays blogs. I decided to make my own coasters out of a leftover calendar from one of my coworkers. This is my first time writing a full-blown tutorial, so I’m a little nervous about it. Let me know if I skip steps or don’t make any sense. Also, I want to apologize ahead of time for not having artsty-I’m-a-blogger photos for this. The lighting was bad and I don’t have a fancy camera. A design for the surface of your coaster — calendars, photos, scrapbook paper, whatever you want. Let’s get started! Do you have all your supplies lined up? Once you do, grab your scissors, pencil and ruler. 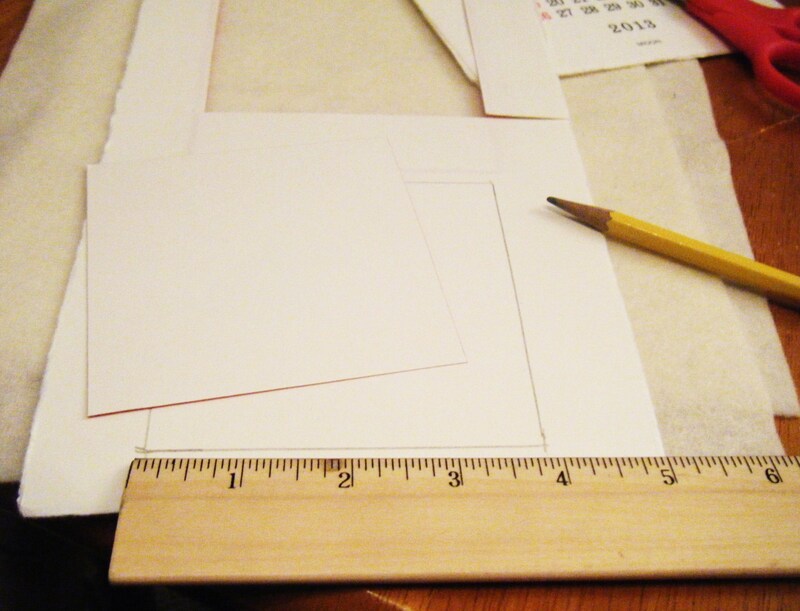 Measure, cut and draw a 3.75 x 3.75 inch square on a piece of scrap paper. This will be your pattern for the four coasters. 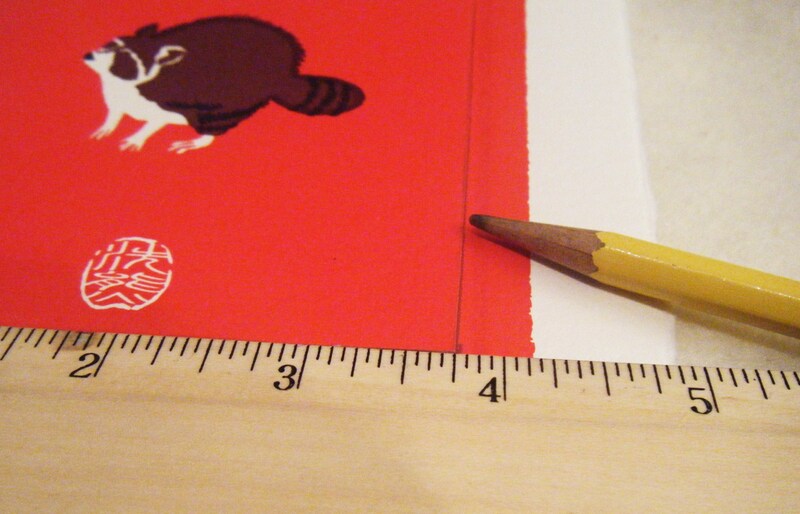 Use the 3.75×3.75 in. 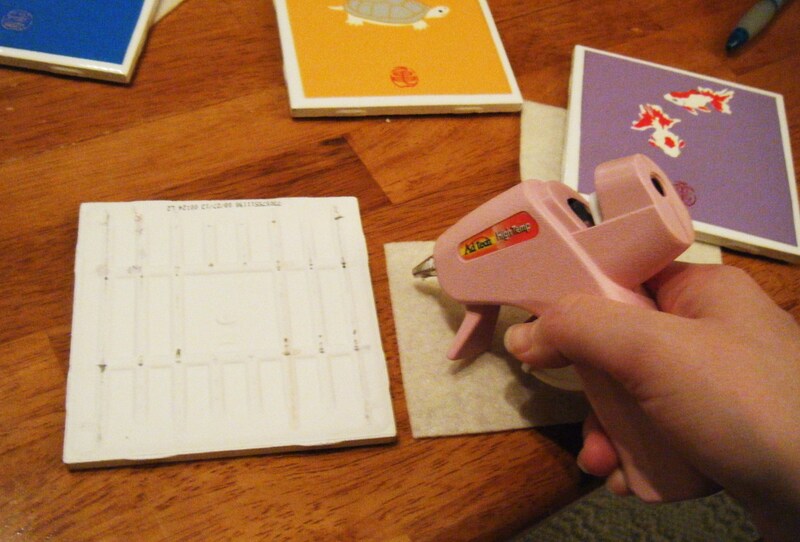 pattern to trace and cut out squares on your calendar/scrapbook paper/photos for the surface of your coasters. Repeat three more times so you have four squares total. Now you’ll want to get your tile out. I wiped mine down with a wet rag just to make sure there wasn’t any dust or gunk on the surface. Place the tiles on a piece of newspaper so you don’t get globs all over your table (unless your an angel with a paint brush, I’m not). 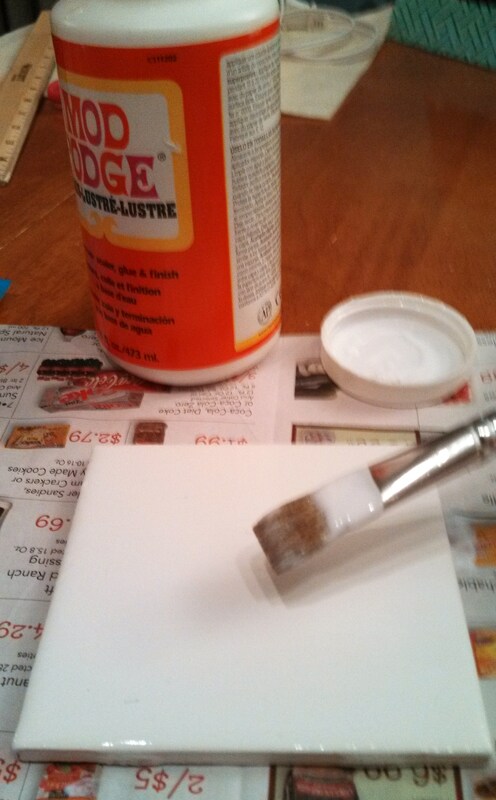 Brush one coat of Mod Podge over the surface of the clean ceramic tile. 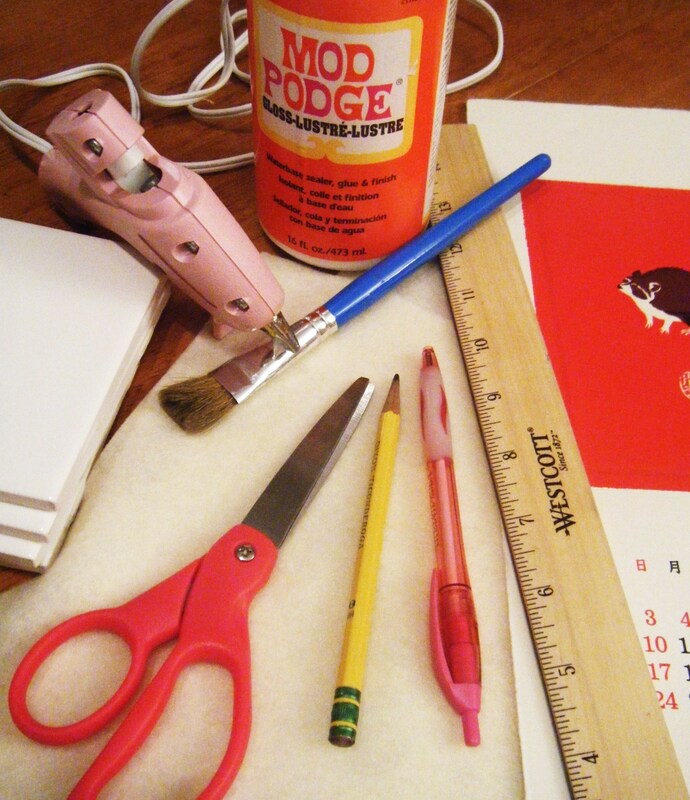 I didn’t photograph this next part but if you keep reading /looking at photos it should make sense: Take your calendar cut-out and place it on the tile over the wet Mod Podge. Don’t rush! Smooth out the paper so there aren’t any bubbles or wrinkles. 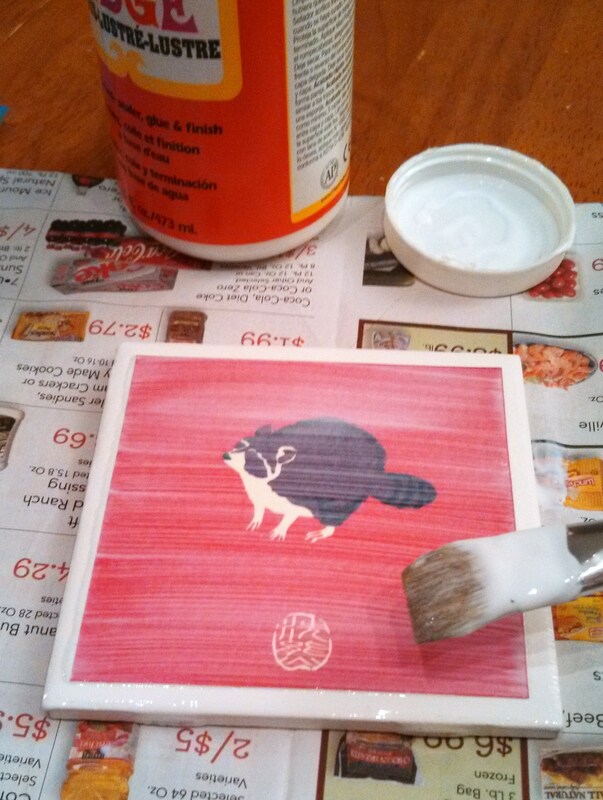 Paint one coat of Mod Podge over the surface of the paper and tile. 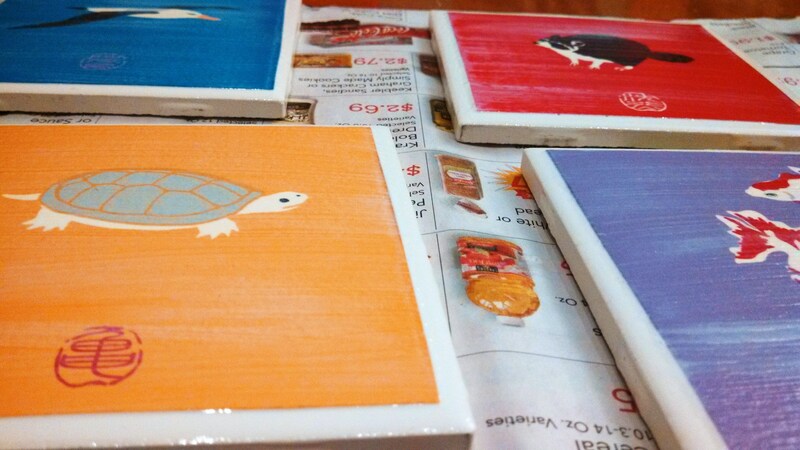 Make sure you don’t have excessive clumps of Mod Podge on the rims of the tile. Try to make this coat as smooth as possible. Fast forward a little bit: Repeat these steps three more times so you have a total of four tiles drying. 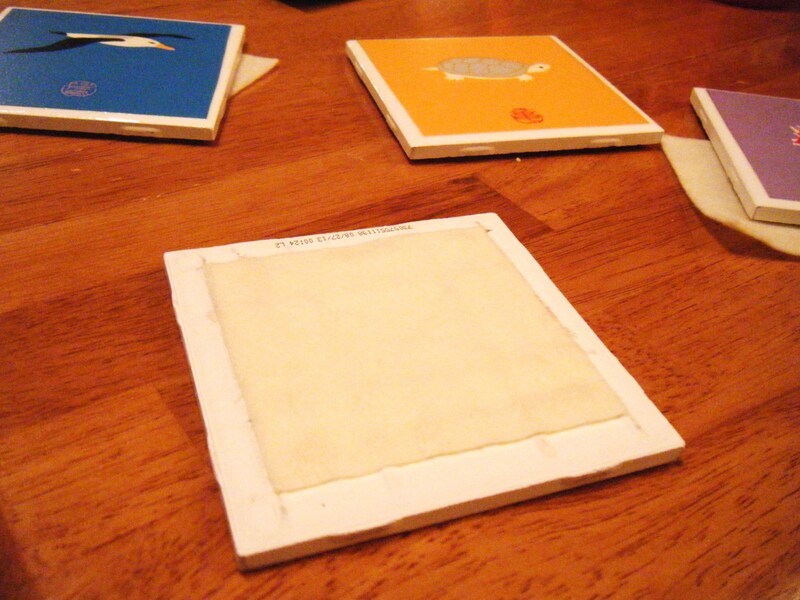 While your tiles are drying, you’ll want to measure and cut out a 3×3 inch square of craft felt. This will be the backing of your coasters. 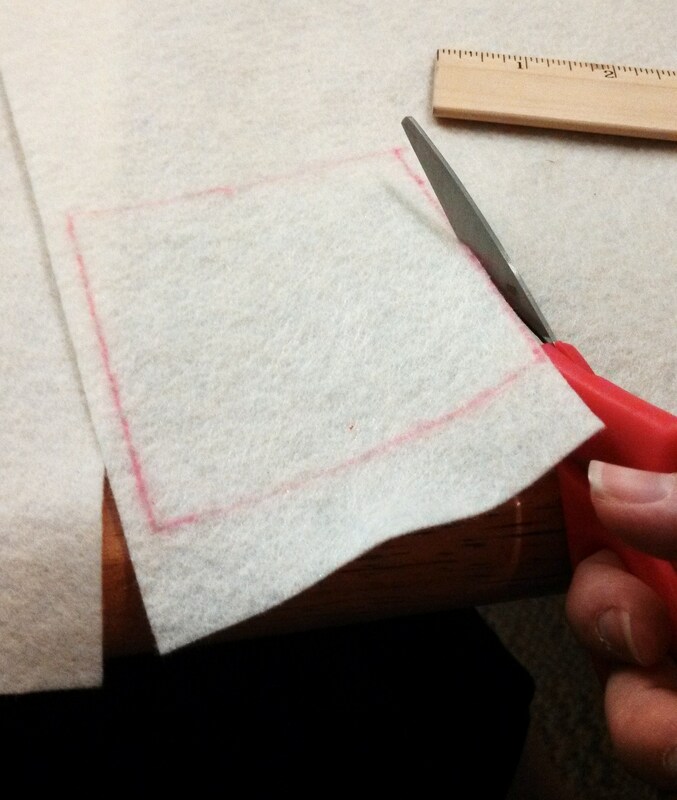 Repeat this step three times so you have a total of four 3×3 inch felt squares. Once your tiles are dry, whip out your hot glue gun. 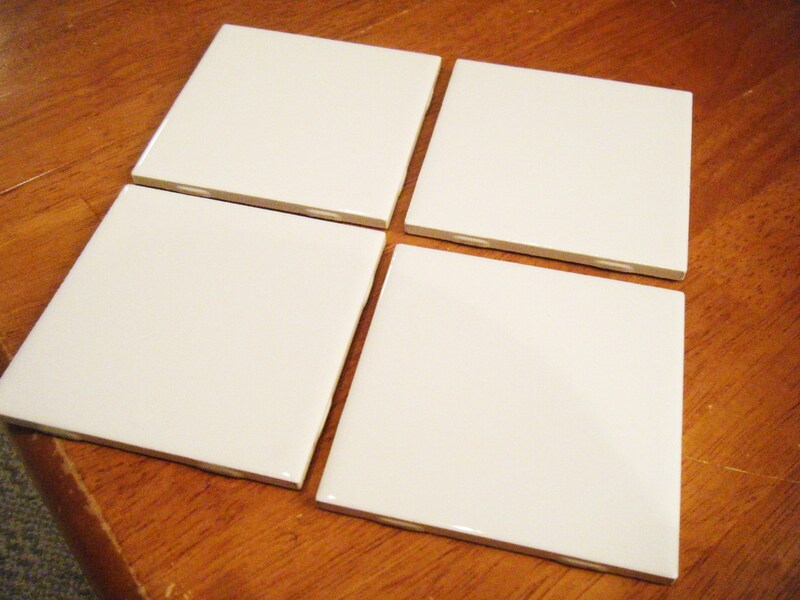 Glue one felt square to the back of each tile. And again, repeat three more times so all four of your tiles are complete. Tadaaaa! You have new coasters. Impressive, right? NOTE: I just want to give you a head up. I’ve used these coasters all week and I’ve noticed that my coffee mugs are sticking to the surface. I’m wondering if the Mod Podge isn’t glossy enough to be the top coat. Does anyone have any suggestions? Its a perfect tutorial and the photos are awesome. I feel like I can do this, because you made it look so easy. Hey! Thank you. I’m glad it made sense! I’m still new to this whole blogging thing. Hey! I'm Jenna. This is my lifestyle blog about all things MN, crafts, country music, home decor and last but not least, black coffee. Opinions are my own. Never miss a beat! Type in your email here to receive new posts automatically. How handy is that?